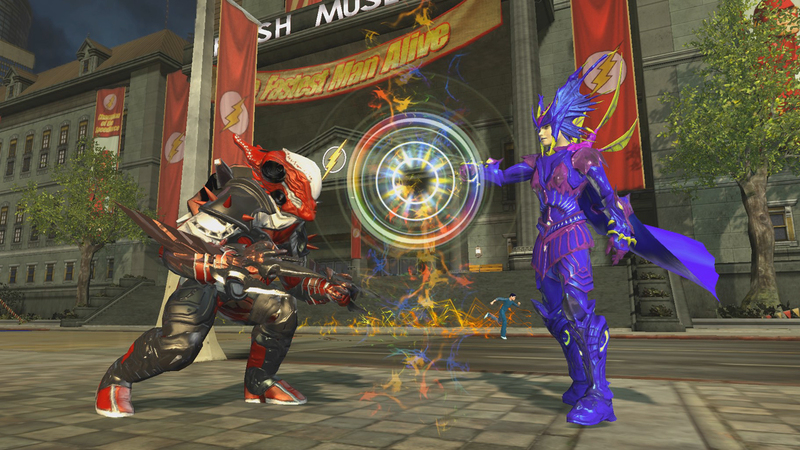 Every hero and villain needs a finely-tuned arsenal to succeed, and now DC Universe Online has just the right system! All DCUO players now have access to the all-new Research & Development (R&D) system. This new system allows players to create new and powerful items. Research & Development brings Equipment Mods – a new type of item that will socket into players’ existing gear to give them a stat and combat rating increase. Players can use different Equipment Mods to increase various stats, allowing them to further customize their gear to suit their needs. In addition, players will be allowed to make superior consumables that not only restore health and power, but also provide a stat buff. Upon reaching level 10, players will be directed to their respective faction’s R&D contact in the Watchtower or Hall of Doom for an introduction to the R&D system. R&D parts, Stations and Vendors can be found throughout the game so that no matter what players do, they will be able to make use of the new system. The Research & Development game update is now available as a free download for players at all three access levels: Free, Premium and Legendary. More details about the R&D system can be found here: DC Universe Online Research & Development. really?? 6 lvl 30 characters?? Big whoop, getting to level 30 isnt a big deal, its what you do when your level 30, they havent added any endgame content that is worth raising the level. Just like World of Warcraft, Lineage2, Aion, and other great MMORPGs, the only time they raised the level cap, is when they released an expansion with worthwhile endgame content to do so in. Look at Cataclysm, they didn’t raise the level cap, they just gave lvl 85 toons more to do, more content, right now DCUO is concentrating on bring as many players as possible into the game and giving the game the tweaks its been looking for, such as an equipment modification system.